A few months ago, I did a blog post on a Korean beauty haul and one of the things I picked up was this brush by Etude House. It's a foundation brush, and I really wanted to try it out because of its unique shape and I had heard so many good things about it. 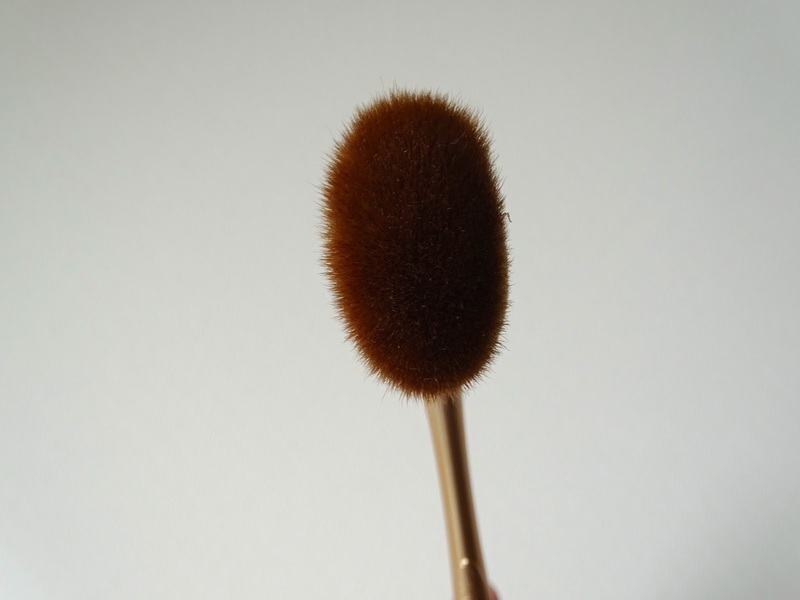 It comes with both a brush head and a sponge, and they're quite easy to take off and switch out. The brush head is for applying the foundation, and I think the sponge is for patting in the foundation and smoothing out any brush strokes (that's what I've been using it for anyway). The sponge also absorbs any excess foundation. The brush is great for is blending out cream contours. I absolutely love this brush: it makes applying foundation so easy and quick, and leaves you with such a flawless base. I didn't think I'd really use the sponge head, but it is actually really important to use to get rid of any brush strokes that may appear as a result of using the brush. The brush doesn't shed at all when cleaning. It is quite difficult to get the stains out of the sponge though. 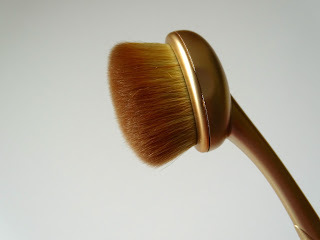 The brush is quite similar to the Artis oval brushes, but a lot more affordable. I got mine on eBay for around €12 (you can find it here).